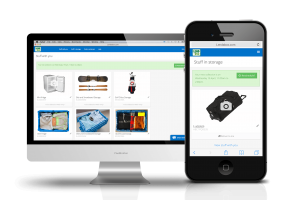 Our micro-storage solution is perfect for college students! Take your storage game to an entirely new level of awesome! 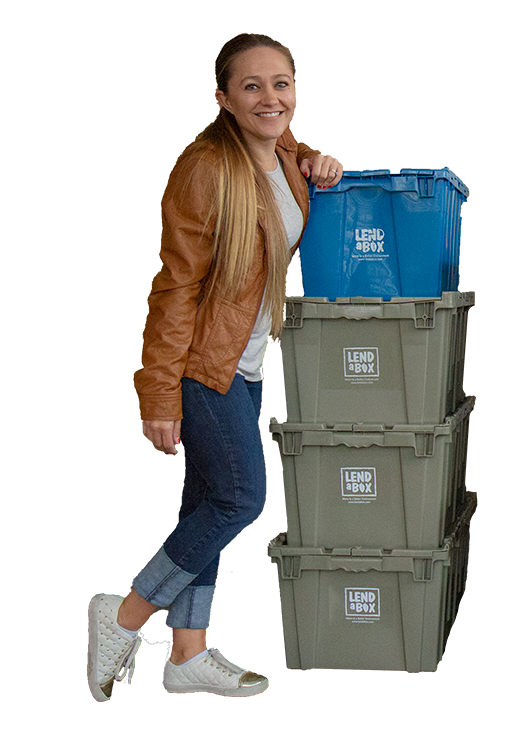 Use our eco-fabulous plastic boxes and give your possessions the TLC they deserve in a crushproof, weatherproof, lockable crate….or use your own. Suitcases, trunks, plastic tubs with lids, and cardboard boxes count as “boxes.” Bonus: Lend A Box crates are included in rental fees if you want to use them. Note to our college student friends…our rental services are offered on a month-to-month basis. We can store your bike, mini-fridge and coordinated bedding for you over the summer or while you are studying abroad. If you have a lot of items, send us a quote request. We’ll get you our best pricing, sometimes a small storage unit makes more sense. Replace your self-storage unit with our convenient door-to-door concierge storage services! No more schlepping stuff from the attic or to the unit. Hooray! Monthly rent includes use of up to 20 large Lend A Box crates. Additional crates, kitchen kits, wardrobe boxes, rolling bookcases and utility bins are available for rent. Furniture may be stored. Our facility is climate controlled. Our storage rates are seasonal. Call or submit a quote request for current pricing. Ready to reclaim some space in your home? Working on a kitchen remodel? We can help you live your best life. Monthly rent includes use of up to 40 large Lend A Box crates. Additional crates, kitchen kits, wardrobe boxes, rolling bookcases and utility bins are available for rent. Furniture may be stored. Our facility is climate controlled. Our storage rates are seasonal. Call or submit a quote request for current pricing. Coordinating a multi-stage move? Need your home staged so it’s ready for sale? New floors to go with the kitchen remodel? We’ve got you covered. Monthly rent includes use of up to 80 large Lend A Box crates. Additional crates, kitchen kits, wardrobe boxes, rolling bookcases and utility bins are available for rent. 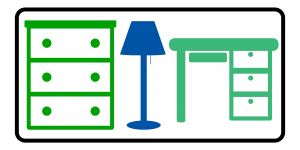 Furniture may be stored. Our facility is climate controlled. Our storage rates are seasonal. Call or submit a quote request for current pricing. Simple storage solutions should be exactly what you need them to be. We think our crates are awesome for storing items away. Use them or not…we won’t judge. We offer month-to-month contracts with no minimum times required, use the space as long as you need. If you have a big project, larger rental spaces are available. We are happy to build you a custom quote. Lend A Box uses professional movers to move items in and out of the storage facility. If you are working with professional movers, we can coordinate with them also, but….you & your neighbor’s pickup is not gonna fly. We require everyone we work with to have appropriate insurance and licenses to operate. Micro-storage solutions -Each month, your rental includes one concierge visit to collect or return items. We charge $30 for additional visits in the same month. There is a $45/month rental minimum required. 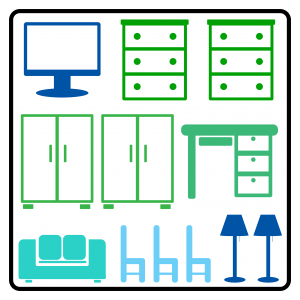 Small, Medium & Large Storage Packages – Labor for moving items in and out of storage are separate from the monthly storage rental fees. Lend A Box labor rates fluctuate seasonally. We have a three hour minimum for our jobs, but that can include packing time also! The service fee for the truck is $160. You may arrange for your own labor to deliver or pickup items from our facility. Call and we are happy to coordinate with your movers. Our storage packages come with our amazing crates included (small – 20, medium – 40, large – 80). 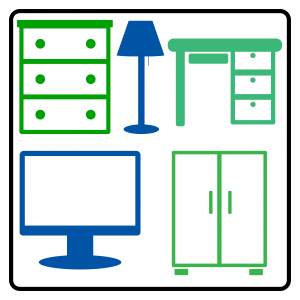 If you would like additional crates, kitchen kits, wardrobes, rolling bookcases, or utility bins, they can be rented on a monthly basis at reduced rates. Request a custom quote and we’ll get you squared away. When you would like a re-delivery of an item, login to your account or call our reservation desk to schedule the return request. We’ll set an appointment and everything you need is brought to your door! Share the Good News! Join our #Ecofabulous Revolution. Be part of our Storage Story. Know someone who would benefit from our simple and easy storage solution? Be a hero and send your friends a $20 Storage Credit to try it out. We’ll send some love your way too. Each time someone signs up, you earn a $20 Storage Credit! To activate your credit giving powers, just login and look up your referral code on the Client Details page. Or check out the PS on the emails we send you. Thank you for being a part of our story, you rock!